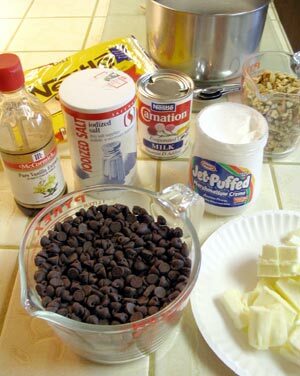 Look for complete recipe ingredients and instructions on my Candy & Sweets page. 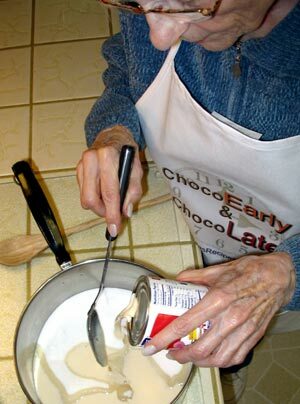 Mix 1 can (12 ounces) of evaporated milk into 4 1/2 cups of sugar. Stir thoroughly. Grease a 10x14-inch pan by rubbing a small piece of butter onto the surface of the pan. 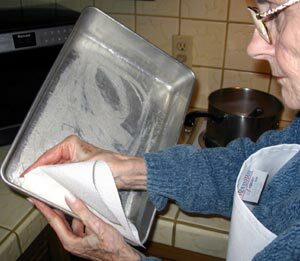 Use a piece of paper towel to keep your hands clean. If you prefer a thicker piece of fudge use a 9x13-inch pan.